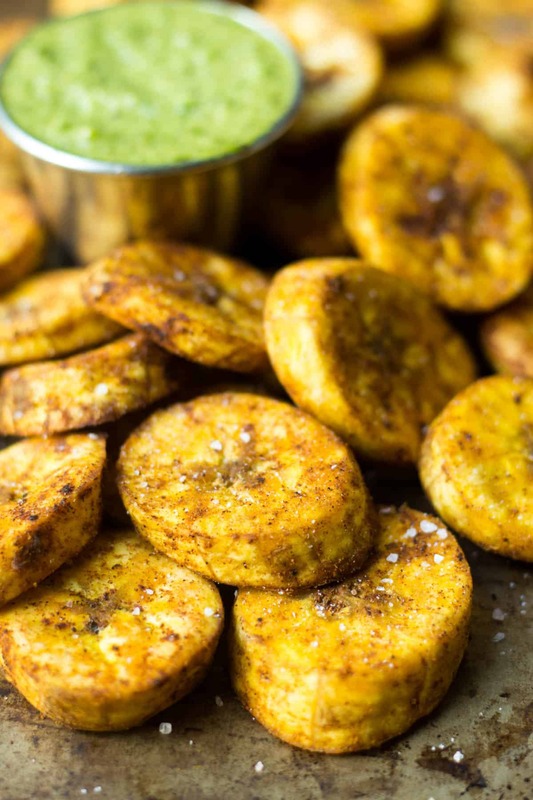 A great carb source, these Sweet & Spicy Baked Plantains are an easy side for breakfast or dinner and are paleo, vegan, and Whole30 approved! 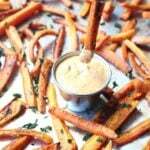 Two recipes on the blog this week?!? What what!! Granted one is an older recipe that I updated, but still. 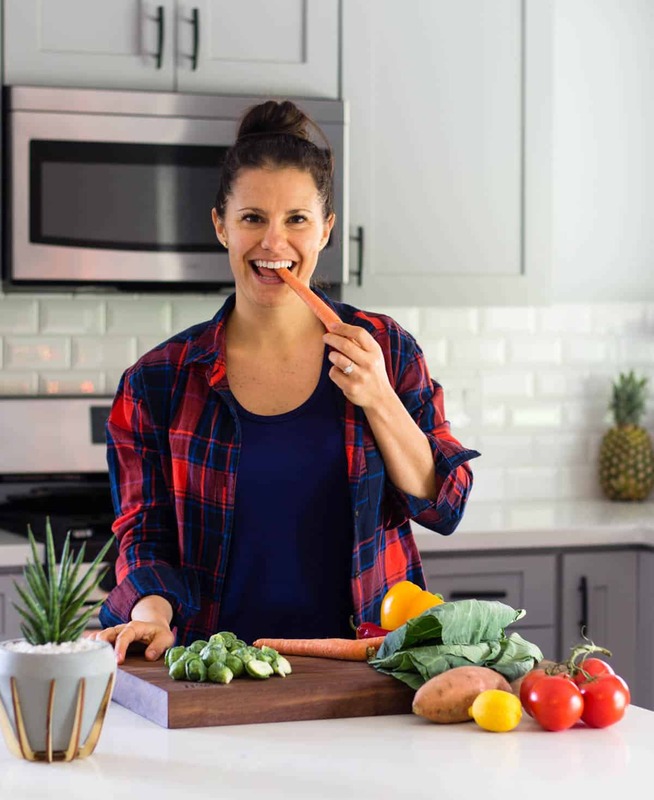 I am really going to try to get 2 recipes out each week for y’all. I have so many ideas in my head and I want to share them all with you! But if you guys ever have any ideas, feel free to let me know. Either email, comment/message me on Instagram or Facebook, or just leave a comment. I’m always open to ideas. Back to this recipe though. 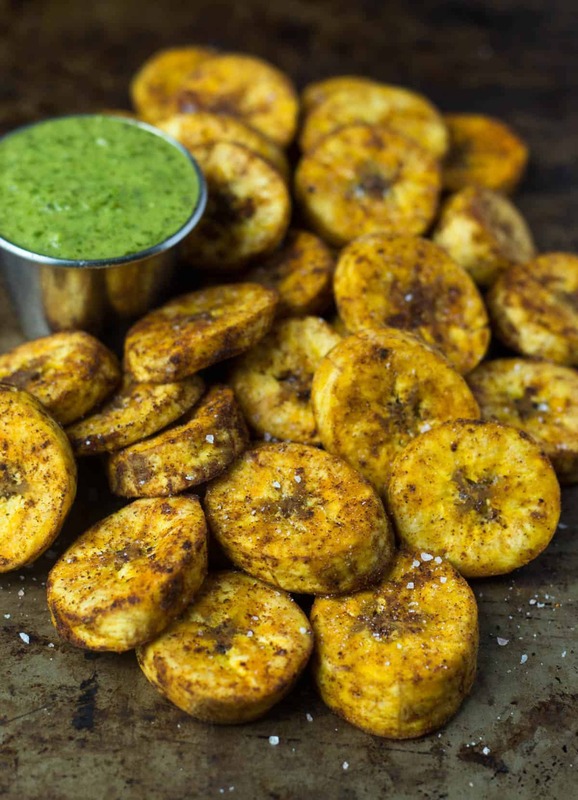 Have you tried plantains? I feel like not many have, but they are so good. 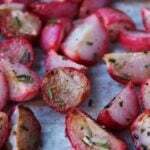 They are like bananas, but a little more starchy and used for cooking. 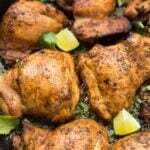 They are a major food staple in the Caribbean, Central America, some parts of South America, and parts of Africa. 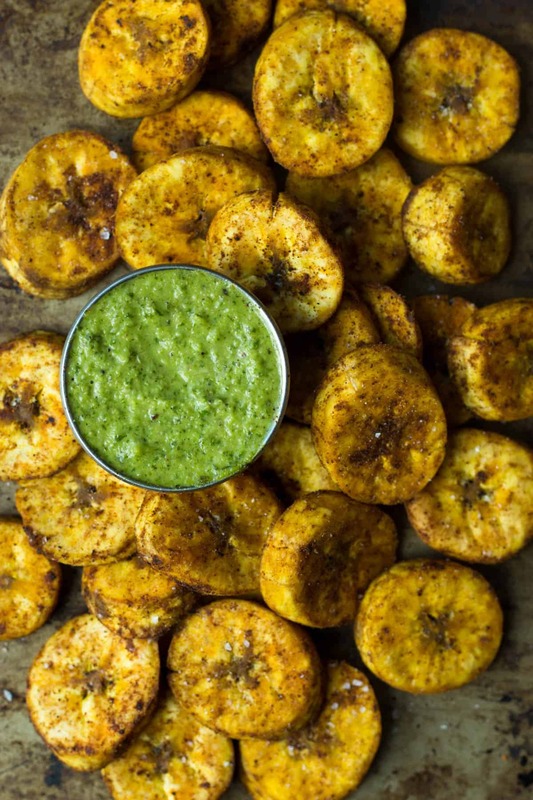 Plantains have a pretty neural flavor and take on the flavors you are cooking/seasoning them with. 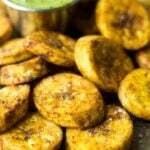 Plantains are a great source of carbohydrates and like bananas are a good source of potassium and fiber. 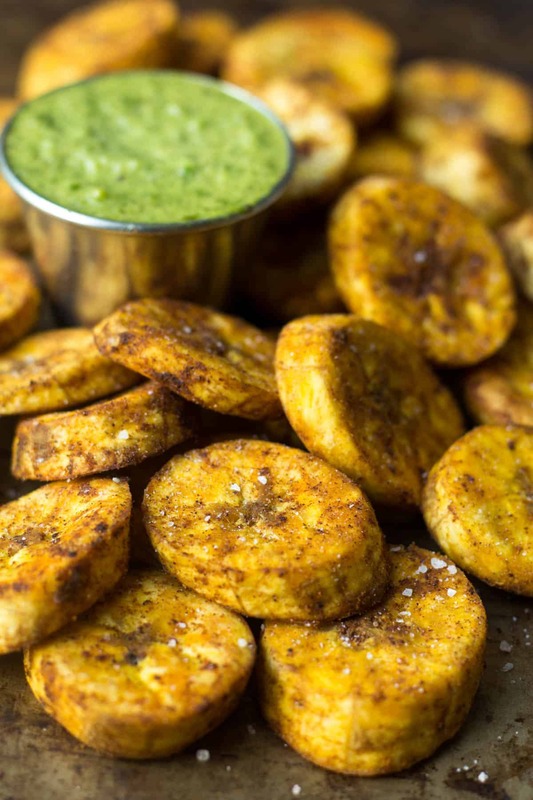 The key to this recipe is finding the right kind of plantain. Green plantains will be too starchy and dry. Brown plantains will be too mushy and sweet. You want to find a yellow one will some, but not too many, brown spots. That ensues they will be sweet, but it will still be firm and hold up. 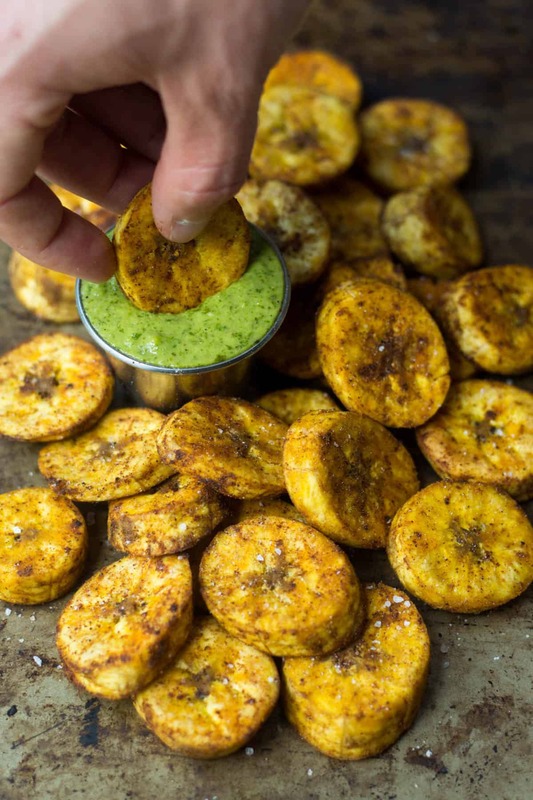 Other than that, these baked plantains are super easy to make. It’s only 5 ingredients, most of which you probably already have on hand. I went with the sweet and spicy combo, well because it’s one of my favorites. 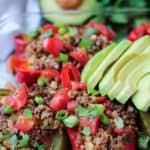 I love these baked plantains for breakfast with some fried eggs or for dinner with some ground beef and greens. I’ve also added them to a taco salad too! Add a dipping sauce, like this spicy chimichurri, and you are golden. Anyway you go, they will be a hit! Preheat oven to 350 degrees Fahrenheit. Line a baking a baking sheet with parchment paper. Peel and chop plantains into 1/2 inch thick discs. Toss with remaining ingredients and place on lined baking sheet, making sure they are spread out and not touching. Bake for 20 minutes, flip, and bake for another 10-15 minutes until golden brown. Top with sea salt and enjoy!